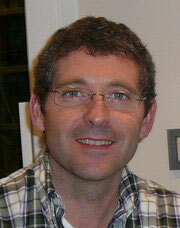 Juan Mendive trained at the University of Navarra and in Barcelona, where he completed his PhD. Now a trainer in family medicine, and a member of the Spanish Primary Care Research Network (RedIAAP) as well as an active family physician. Dr Mendive’s interests include gastroenterology and mental health education in primary care. His involvement in international groups ranges from WONCA, where he has been the Spanish representative, to the ESPCG, where he is a founder member of the steering group.